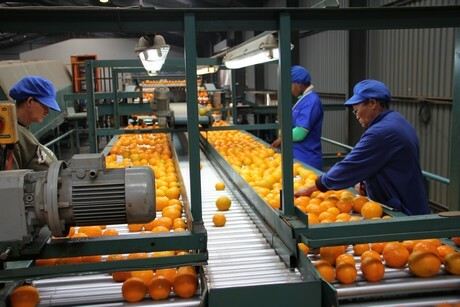 A South African citrus producer not only managed to bump up its production by 40% through new acquisitions this year, but also bolstered its successful black workers’ economic empowerment programme in the process. “We are especially proud of the fact that our black worker’s successful agricultural empowerment project benefitted from this move as one of the new farms purchased actually belongs to them now. This will effectively increase their own production by 100% over the previous season. Their produce is marketed by us as part of the ALG Estates total citrus offering to the market." "We recognized the importance of doing the difficult things first and do it well and, therefore, over the years, consistently worked on increasing the range of our citrus basket which now boasts 41 different varieties. At the same time we realised we had to stretch our production season as far as possible and also systematically established orchards in different climate zones." "Our different production units are now as far as 200 km (120 miles) apart covering mountainous areas, temperate sea climate zones and the traditional hot regions in the Upper Olifants River Valley near Citrusdal. All in all it means that we have stretched our bulk production season from May to October yearly but can effectively supply citrus for the full 12 months of the year," says Gerrit Jnr. His optimism is shared by the Estate's Marketing Manager Hendrik Warnich, who on the eve of his annual visit to Fruit Logistica the world's largest Fresh Produce Expo in Berlin in February says: "For the last few years we have seen a good increase in specific retailer shelf space turnover where ALG has been trusted with the majority of the supply. The main reason for this is that we have the different climatic production areas as well an extensive variety split to always supply fresh citrus such as Easy Peelers, Lemons, Limes and various types of oranges. This enables us to supply citrus at their optimum ripeness with consistent good eating quality on a daily basis to the leading retailers of the world." The Estate's Black Economic Empowerment (BEE) agriculture program is one of the best performing projects of its kind in South Africa and the envy of many farmers country-wide. Founded as a separate company Cedar Citrus (Pty) Ltd in 1999 with 32 farm workers as partners a total of 36 hectares of citrus were established with a start-up loan from the South African Industrial Development Corporation (IDC). This unit is managed by a Board consisting mainly of the farm workers and farmed by the Estate exactly as any other of their production units which sees that their produce get exported world-wide. The project started making a profit in 2010 and paid off its start-up loan to the IDC in 2012.